Chondrodite: Mineral information, data and localities. Named in 1817 by Baron Abraham Constantin Mouradgea d'Ohsson from the Swedish "grynig och körtelaktig" meaning gritty and gland-like in allusion to its occurring in isolated grains. (Later given as χονδρωδης meaning grain.) The original chemical analysis by d'Ohsson did not find fluorine, but reported a 100% total. Seybert (1822) analyzed a similar mineral that did contain fluorine from Sparta, New Jersey, USA and named it maclureite for William Maclure, geologist-mineralogist, educator, and philanthropist. A minor controversy arose between Henry Seybert and Thomas Nuttall in 1822-1824 regarding priority of who first found fluorine in maclureite. Eventually, the maclureite of Seybert (1822) was indirectly equated with norbergite rather than chondrodite (Larsen et al., 1928). See also Thomson and Torrey (1836). May be confused with clinohumite. Visit gemdat.org for gemological information about Chondrodite. ICDD 12-527 (Tilly Foster Mine, Brewster, NY, USA). See also ICDD 33-865 (titanian) Buell Park, Arizona, USA. Titanochondrodite A Ti-bearing variety of chondrodite. Calcite 48 photos of Chondrodite associated with Calcite on mindat.org. Spinel 40 photos of Chondrodite associated with Spinel on mindat.org. Magnetite 31 photos of Chondrodite associated with Magnetite on mindat.org. Clinochlore 25 photos of Chondrodite associated with Clinochlore on mindat.org. Graphite 17 photos of Chondrodite associated with Graphite on mindat.org. Aragonite 13 photos of Chondrodite associated with Aragonite on mindat.org. Diopside 9 photos of Chondrodite associated with Diopside on mindat.org. Lizardite 9 photos of Chondrodite associated with Lizardite on mindat.org. Molybdenite 7 photos of Chondrodite associated with Molybdenite on mindat.org. Quartz 5 photos of Chondrodite associated with Quartz on mindat.org. d’Ohsson, Abraham Constantin Mouradgea (1817) Undersökning af någre Mineralier, Kungliga Svenska Vetenskapsakademiens handlingar för år 1817 Stockholm: 206-210.
d’Ohsson, Abraham Constantin Mouradgea (1822) Analyses of Some Northern Minerals, Quarterly Journal of Science, Literature, and the Arts, 12: 329. Seybert, Henry (1822) Analysis of the Maclureite or Fluosilicate of Magnesia, a New Mineral Species from New Jersey, American Journal of Science 5: 336-344. Thomson, Thomas and Torrey, John (1836) Chemical Examination of Some Minerals, Chiefly from America (read November 5, 1827 by John Torrey), Annals of the Lyceum of Natural History of New-York, 3: 54-61. Larsen, Esper S., Bauer, Lawson H., and Berman, Harry (1928) Norbergite from Franklin, New Jersey, American Mineralogist, 13: 349-353. Sinogeikin, S. V. and Bass, J. D. (1999) Single-crystal elastic properties of chondrodite: implications for water in the upper mantle. Physics and Chemistry of Minerals, 26: 297-303. Langer, K., Platonov, A. N., Matsyuk, S. S., and Wildner, M. (2002) The crystal chemistry of the humite minerals Fe 2+ - Ti 4+ charge transfer and structural allocation of Ti 4+ in chondrodite and clinohumite. European Journal of Mineralogy, 14: 1027-1032. The following Chondrodite specimens are currently listed for sale on minfind.com. Faure, G.; Felder, R.P. (1984) Lithium-bearing pegmatite and bismuth-antimony-lead-copper-bearing veinlets on Mount Madison, Byrd Glacier area. Antarctic Journal of the U.S., 19(5), 13-14. Purtscheller, F. & Tessadri, R. (1985): Zirconolite and baddeleyite from metacarbonates of the Oetztal-Stubai complex (northern Tyrol, Austria). Mineral. Mag. 49, 523-529. Sabina, A. P. (1983), Rocks and minerals for the collector, miscellaneous report 32: 11-12. Schneider, Stuart. Collecting Flourescence Minerals. Page 141-148, Long Lake Zinc Mine Minerals. Schroetter, Ralph. The Bancroft & Area Mineral Collectors Guide. Chondrodite Occurrence, mineral list. Ann P. Sabina, Rocks & Minerals for the Collector: Geoligical Survey of Canada Miscellaneous Report 39. Page 83.
ⓘ New Carlow Road ? Sage, R.P. (1983) Geology of the Schryburt Lake Carbonatite Complex. Ontario Geological Survey Open File Report 5413, 114 p.
J. Ackermand, et al (2005) Mineralogy and Petrology, 66, #4, 259-270. Xu, Zhiqin; Chen, Jing; Yang, Jingsui; Li, Xuping; Chen, Fangyuan (2003): Discovery of titanoclinohumite and titanochondrodite exsolution in garnet peridotite and their significance. Dizhi Xuebao 77, 549-555 (in Chinese). Matsuda, K. (1969) Copper-bearing contact deposits of Hua-tung-kou, Fu Hsien, Feng-tien province, Manchuria (in: Geology and Mineral Resources of the Far East, vol. 2, pp 414-422, Tokyo University Press). Houzar, S., Litochleb, J., Sejkora, J., Cempirek, J., & Cicha, J. (2008). Unusual mineralization with niobian titanite and Bi-tellurides in scheelite skarn from Kamenné doly quarry near Písek, Moldanubian Zone, Bohemian Massif. Journal of Geosciences, 53(1), 1-16. Němec, D: Výskyt minerálů humitové skupiny v ČEském macívu. Acta Musei Moraviae, Scientiae naturales, 1971-72, roč. LVI-LVII, s. 41-46. Jukka Reinikainen (2001) Petrogenesis of Paleoproterozoic Marbles in the Svecofennian Domain, Finland. Geologian tutkimuskeskus. Tutkimus raportti 154. Piccoli, G.C., Maletto, G., Bosio, P., Lombardo, B. (2007) Minerali del Piemonte e della Valle d'Aosta. Associazione Amici del Museo "F. Eusebio" di Alba, Ed., Alba, 607 pp. Ferry J.M., Wing B.A., Penniston-Dorland S.C., Rumble D. (2002): The direction of fluid flow during contact metamorphism of siliceous carbonate rocks: new data for the Monzoni and Predazzo aureoles, northern Italy, and a global review. Contrib. Mineral. Petrol., 142, 679–699. Aung, H. L., & Zin, T. T. (2017, October). Nanyaseik ruby of phakant township, Kachin state, northern Myanmar. In Consumer Electronics (GCCE), 2017 IEEE 6th Global Conference on (pp. 1-2). IEEE. Ma Kyu Kyu Aung (2004): Petrology and mineralogy of the Yetkansin area, Madaya Township. M.S. thesis, Yangon University, Department of Geology. ⓘ Okahua Farm 418 ? Nedosekova, I.L. (2007): Geology of Ore Deposits 49(2), 129-146. Lee, C.H., Lee, H.K., and Kim, S.J. (1998): Mineralium Deposita 33, 379-390. Brumós, R. (1981). 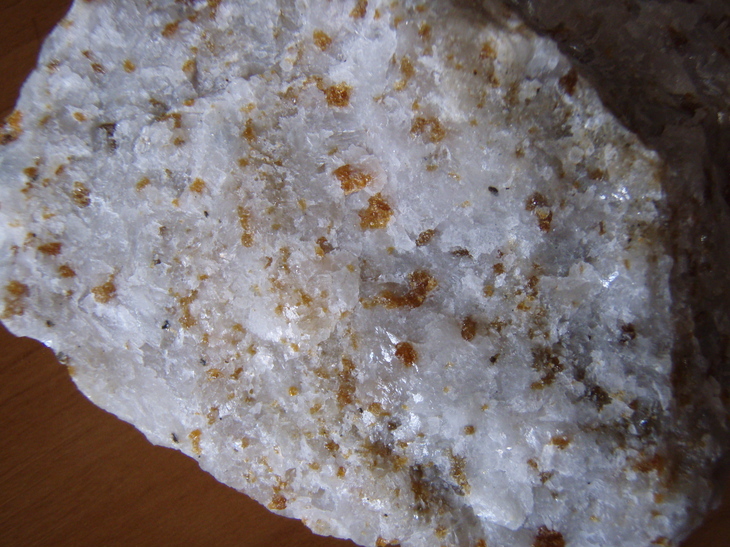 La condrodita de Estepona (Málaga), Mineralogistes de Catalunya, 1, (13), 26-27. Palache, C., Berman, H., & Frondel, C. (1951), The System of Mineralogy of James Dwight Dana and Edward Salisbury Dana, Yale University 1837-1892, Volume II: 848. Palache, C., Berman, H., & Frondel, C. (1951), The System of Mineralogy of James Dwight Dana and Edward Salisbury Dana, Yale University 1837-1892, Volume II: 369. Grew et al. 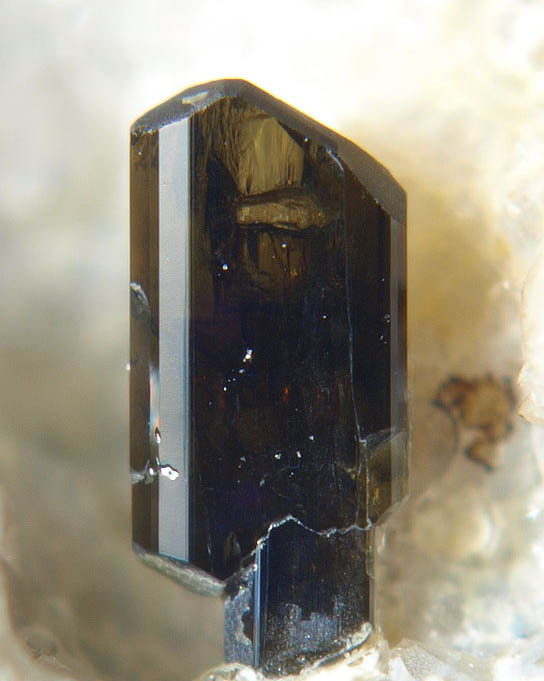 (1991): Dissakisite-(Ce), a New member of the epidote group and the Mg analogue of allanite-(Ce), from Antarctica. American Mineralogist, 76, 1990-1997. Stalder, H. A., Wagner, A., Graeser, S. and Stuker, P. (1998): Mineralienlexikon der Schweiz. Wepf (Basel), p. 113. Fritz, E.A., Breeding, C.M., Rossman, G.R. and Laurs, B.M. (2007). Yellow-green clinohumite and yellow chondrodite, from Tanzania. Gems & Gemology, 43, 377-379. Aoki, K. (1976): Titanochondrodite and titanoclinohumite derived from the upper mantle in the Buell Park Kimberlite, Arizona, USA. Contributions to Mineralogy and Petrology 56, 243-253. Anthony, J.W., et al (1995), Mineralogy of Arizona, 3rd.ed. : 171; Cooper, J.R. & L.T. Silver (1964), Geology and ore deposits of the Dragoon quadrangle, Cochise Co., AZ, USGS PP 416. Anthony, J.W., et al (1995), Mineralogy of Arizona, 3rd.ed. : 171, 327. Rogers, Austin Flint (1918b), An American occurrence of periclase and its bearing on the origin and history of calcite brucite rocks: American Journal of Science, 4th. Series: 46: 581-586; Woodford, A.O., Crippen, R.A., and Garner, K.B. (1941) Section Across Commercial Quarry, Crestmore, California. American Mineralogist: 26: 367; Murdoch, Joseph & Robert W. Webb (1966), Minerals of California, Centennial Volume (1866-1966): California Division Mines & Geology Bulletin 189: 137; Pemberton, H. Earl (1983), Minerals of California: 460. Cooney, R.L. (1956), The mineralogy of the Jensen and Henshaw quarries near Riverside, California: Unpublished Master’s thesis, University of California at Los Angeles: 41; Pemberton, H. Earl (1983), Minerals of California; Van Nostrand Reinholt Press: 461; Devito, F. and Ordway, A. (1984), The Jensen Quarry, Riverside County, California. 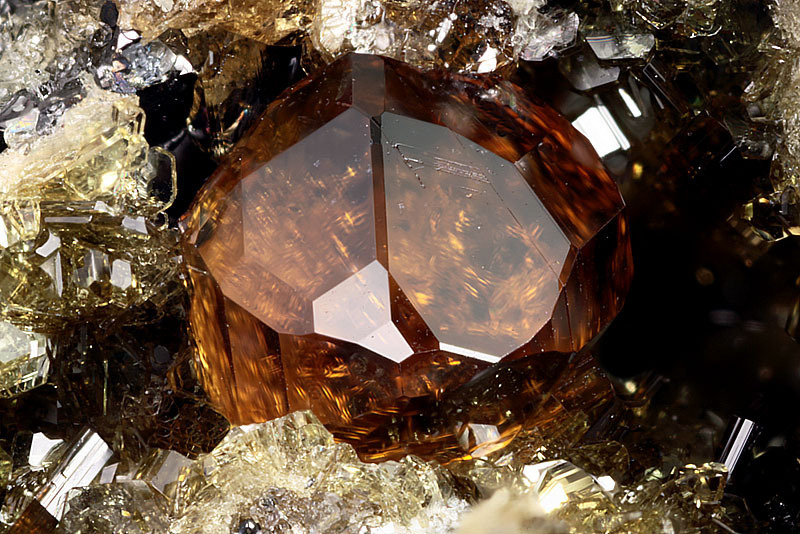 Mineralogical Record: 15(5): 273-290. Pemberton, H. Earl (1983), Minerals of California; Van Nostrand Reinholt Press: 174. Rogers, Austin Flint (1918b), An American occurrence of periclase and its bearing on the origin and history of calcite brucite rocks: American Journal of Science, 4th. Series: 46: 582; Pemberton, H. Earl (1983), Minerals of California; Van Nostrand Reinholt Press: 460. Hewett, Donnel Foster (1956) Geology and mineral resources of the Ivanpah quadrangle, California and Nevada, USGS Professional Paper 275, 172 pp. : 118. Eakle, Arthur Starr (1917), Minerals associated with the crystalline limestone at Crestmore, Riverside County, California: University of California Department of Geological Sciences Bulletin: 10: 333; Murdoch, Joseph & Robert W. Webb (1966), Minerals of California, Centennial Volume (1866-1966): California Division Mines & Geology Bulletin 189: 138. Hewett, Donnel Foster (1956) Geology and mineral resources of the Ivanpah quadrangle, California and Nevada, USGS Professional Paper 275, 172 pp. : 118; Pemberton, H. Earl (1983), Minerals of California; Van Nostrand Reinholt Press: 461. Leo, G.W. (1967) The plutonic and metamorphic rocks of the Ben Lomond Mountain area, Santa Cruz County, California. California Division of Mines and Geology Special Report 91: 41; Pemberton, H. Earl (1983), Minerals of California; Van Nostrand Reinholt Press: 461. Januzzi, Ronald E. (1976): Mineral Localities of Connecticut and Southeastern New York State. The Mineralogical Press, Danbury, Connecticut: 192-201; Weber, Marcelle H. and Earle C. Sullivan. (1995): Connecticut Mineral Locality Index. Rocks & Minerals (Connecticut Issue): 70 (6): 397. Weber, Marcelle H. and Earle C. Sullivan. (1995), Connecticut Mineral Locality Index. Rocks & Minerals (Connecticut Issue), 70(6): 398. Dana, James D. (1890), Archaean limestone and other rocks in Norfolk, Connecticut. American Journal of Science: s. 3, 39: 321. Schooner, Richard. (1961), The Mineralogy of Connecticut. Fluorescent House, Branford, Connecticut. ; Schairer, J. F. (1931), The Minerals of Connecticut. State Geological and Natural History Survey, Hartford Connecticut Bulletin 51. Emerson, B. K. (1899). Geology of Eastern Berkshire County, Mass. (USGS Bulletin 159). Skehan, James. Roadside Geology of Massachusetts (2001), p. 290. Betancourt, P.P. (The Picking Table, Vol. 27(2):2-10. Cook, D.K. : Recent work on the minerals of Franklin and Sterling Hill, NJ: Mineralogical Record:4:62-66 (1973); Dunn(1995):Pt3:347. Rocks & Min. : 21:416, 576-577. A Quest for New Jersey Minerals, Robert Speiser (1978):9. NJ State Bull. 56(1942), Van Voorhis, J.M. The Iron Mines of NJ (1910), Bayley:205.
ⓘ State Route 28N roadcut ? The Minerals of New York City & Its Environs, New York Mineralogical Club Bull., Vol. 3, No. 1, Manchester, J.G. (1931): 75. The Minerals of New York City & Its Environs, New York Mineralogical Club Bull. Vol. 3, No. 1, Manchester, J.G. (1931): 85; New York State Museum Bull. Nos. 249-250 (Sep-Oct 1921), Magnetic Iron Deposits of SE NY, Clarke, John M.: 109. The Minerals of New York City & Its Environs, New York Mineralogical Club Bull. Vol. 3, No. 1, Manchester, J.G. (1931): 80; NY State Museum Bull. Nos. 249-250, Magnetic Iron Deposits of SE NY, Clarke, John M. (Sep-Oct 1921): 125. Palache, C., Berman, H., & Frondel, C. (1951), The System of Mineralogy of James Dwight Dana and Edward Salisbury Dana, Yale University 1837-1892, Volume II: 214. (Bridenbaugh, 1873) (Dana, 1874) (Dana, 1875, 1875b) (Januzzi, 1966, 1989) (Manchester, 1931) (Trainer, 1938) (Whitlock, 1903). A.-K. Malsy, S. Karampelas, D. Schwarz, L. Klemm, T. Armbruster and D.A. Tuan (2012): Orangey-red to orangey-pink gem spinels from a new deposit at Lang Chap (Tan Huong-Truc Lau), Vietnam. Journal of Gemmology 33 (1-4), 19-27.